Minimally Invasive Spinal Surgery (MISS) is a type of spinal surgical technique. Although it has existed for around 30 years, recent and revolutionary advances in surgical technology have transformed the technique. Scoliosis refers to an abnormal curvature of the spine. Scoliosis can occur in adults of all ages and sometimes can lead to significant pain and limitation. In other people, little or no symptoms may be present. Syringomyelia is a condition where a fluid filled cavity forms in the spinal cord, causing damage to the cord and neurological problems. It is a serious, but rare condition. It effects more men than women and usually is diagnosed after the age of 30. A herniated lumbar disc is a common injury to the lower back. It affects more men than women and occurs most often in people between the ages of 20 to 50. A herniated lumbar disc can cause severe pain and dysfunction and is a leading cause of lost work time worldwide. Herniation of the vertebral discs is often also referred to a ‘slipped disc’ which is a misnomer as the discs are in fact firmly attached to the lumbar vertebral bones. Spondylolisthesis is a condition in which one vertebra slips in relation to another. It can be caused by a number of different mechanisms and affects all age groups, with different mechanisms being responsible for the slippage in each group. Spondylolisthesis is quite a common condition and can cause significant pain and limitation in people who are affected by this condition. 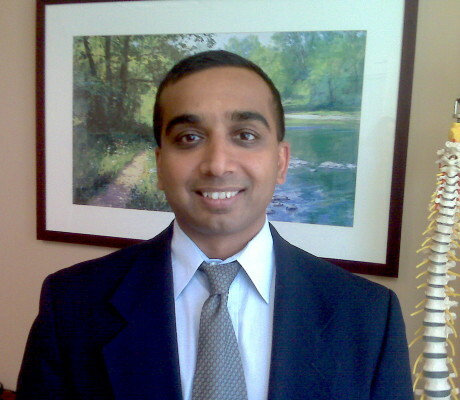 Dr Kaushik Das is an Associate Professor of Neurosurgery at New York Medical College and Director of Neurosurgery Spine Section at Westchester Medical Center. In 2003 he became board certified by the American Board of Neurological Surgeons. Read more about Dr. Kaushik Das. A herniated lumbar disc is a common injury to the lower back. It affects more men than women and occurs most often in people between the ages of 20 to 50. A herniated lumbar disc can cause severe pain and dysfunction and is a leading cause of lost work time worldwide. 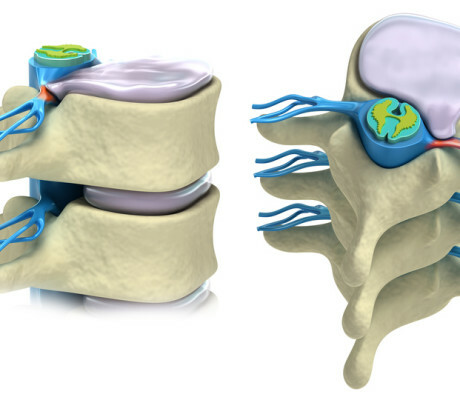 Herniation of the vertebral discs is often also referred to a ‘slipped disc’ which is a misnomer as the discs are in fact firmly attached to the lumbar vertebral bones. Learn more about Lumbar Disc Herniation. Spondylolisthesis is a condition in which one vertebra slips in relation to another. It can be caused by a number of different mechanisms and affects all age groups, with different mechanisms being responsible for the slippage in each group. Spondylolisthesis is quite a common condition and can cause significant pain and limitation in people who are affected by this condition. 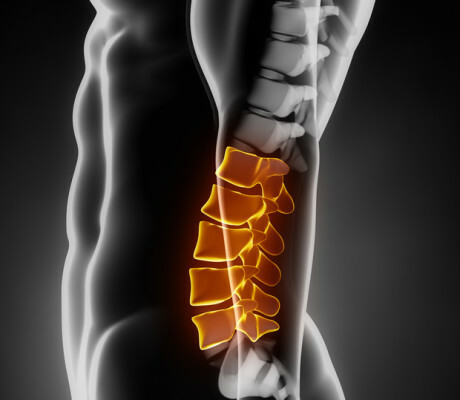 Learn more about Spondylolisthesis.